VANCOUVER, BC – Main Street Brewing has announced the release of a new limited edition beer brewed in collaboration with Kanazawa Wines. A dry and effervescent base beer combined with 400L of Pinot Noir juice. Saison yeast and low mash temps combine to minimize residual sugars, while a generous dose of wine-like Hallertauer Blanc hops added in whirlpool provide lots of hop flavour with little bitterness. 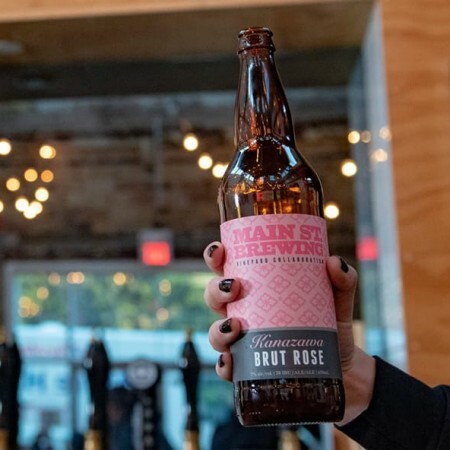 Brut Rosé is available now in 650 ml bottles and on tap at Mill Street while supplies last.